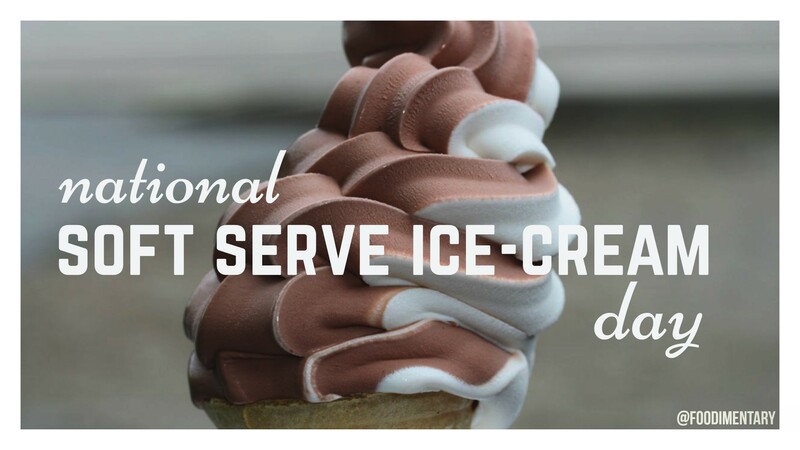 August 19th is National Soft Serve Ice Cream Day! Chocolate ice cream was invented long before vanilla, and the first documented recipe for it appeared in the book The Modern Steward, published in Italy in 1692. The Häagen-Dazs brand was established by two Americans – Reuben and Rose Mattus – and the name was made up to sound Danish and sophisticated. The Danish language does not actually use umlauts. 1851 Charles E. Hires was born. Manufacturer and inventor of Hires Root Beer. 1856 Gail Borden was granted a patent for a process to make condensed milk, which he developed in 1853. 1887 Spencer Fullerton Baird died. An American naturalist and zoologist, he was the second Secretary of the Smithsonian Institution. 1947 J. Arens and D. van Villages synthesized vitamin A. 1996 Miss Universe was told to lose 27 pounds or lose her crown.